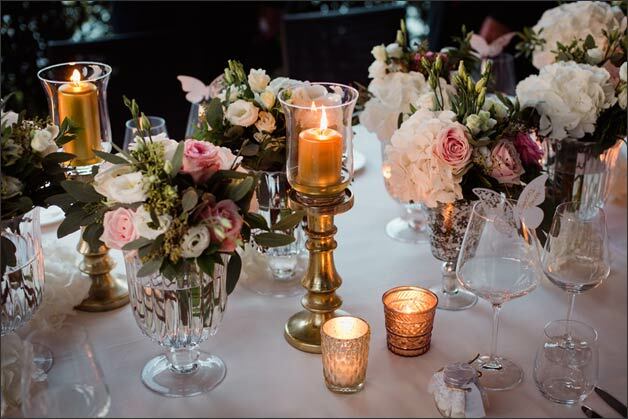 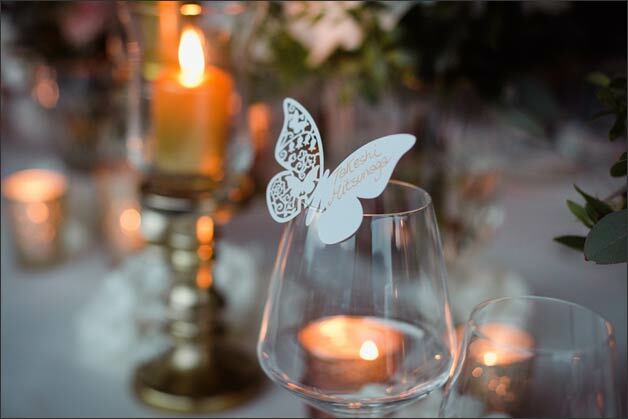 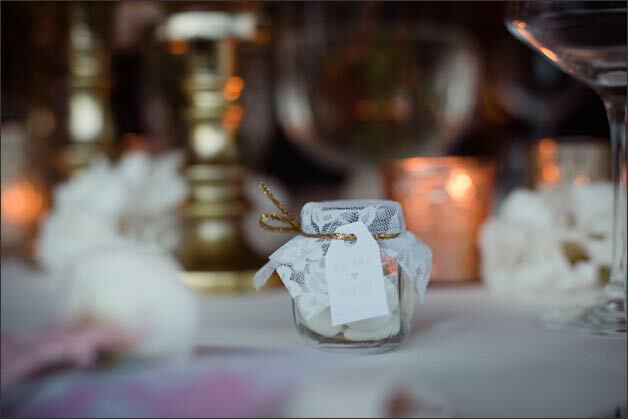 ntimacy, elegance and care for details: if these are the ingredients you desire for your special day, you definitely have to take inspiration from our new post! 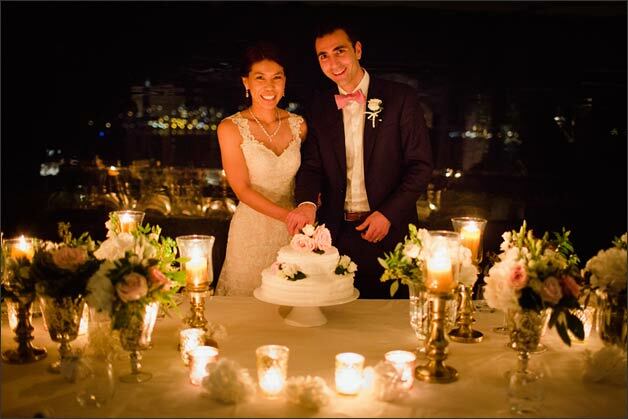 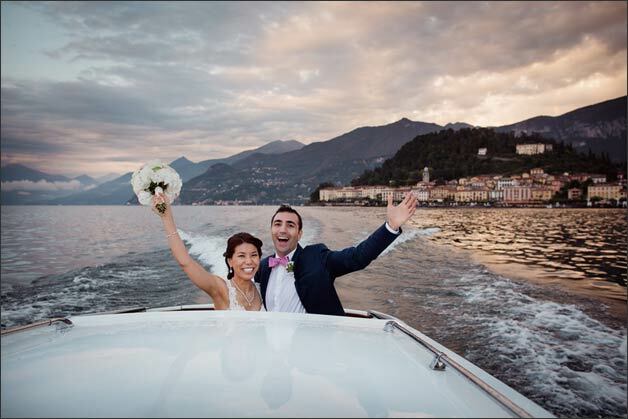 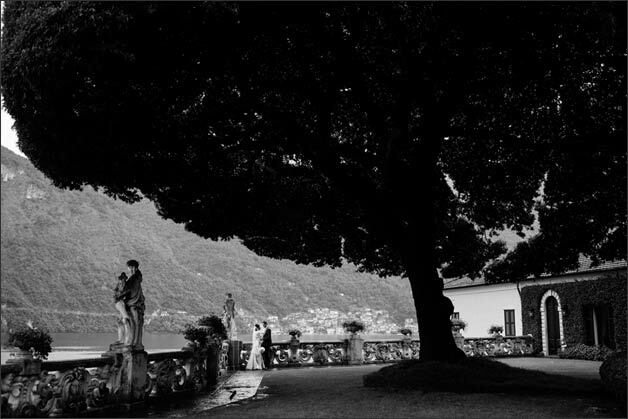 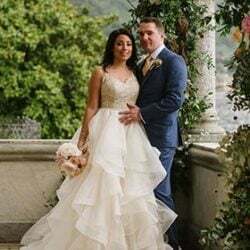 Risto and Sayaka opted for an intimate ceremony in one of the most romantic and amazing spots on Lake Como, followed by a dinner in a modern and classy hotel. 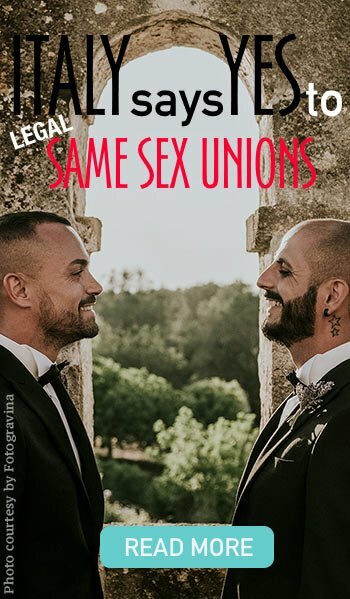 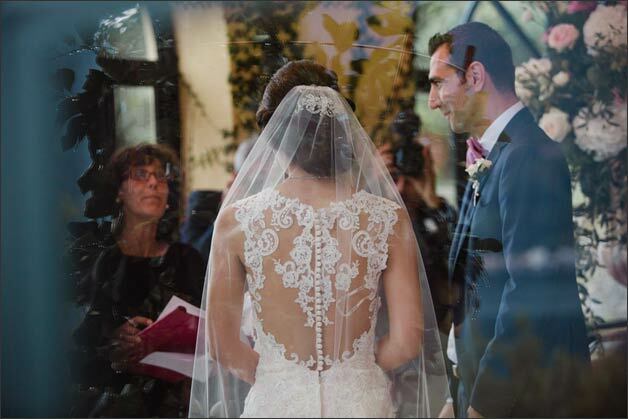 It was a wedding day filled with love and emotions! 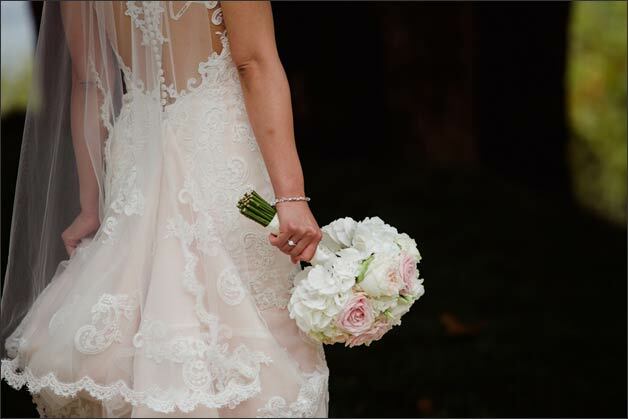 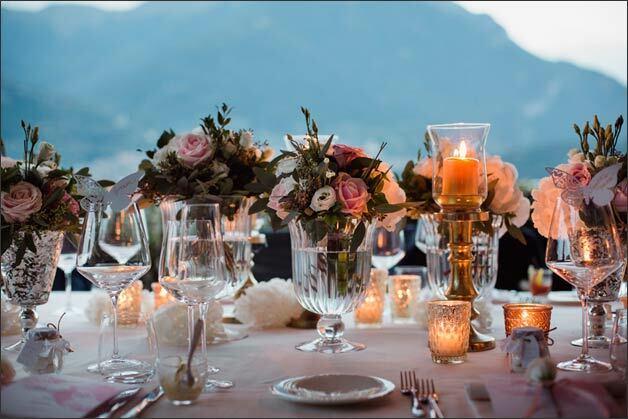 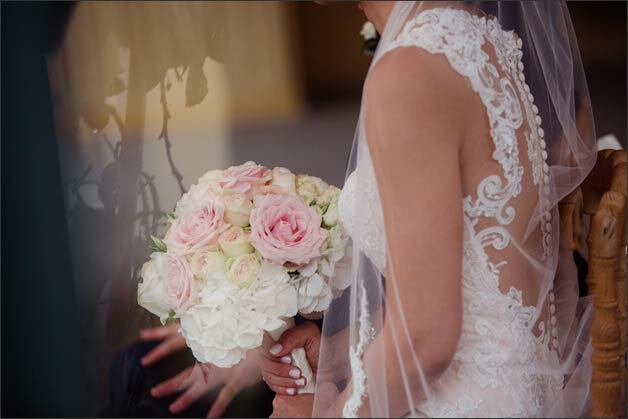 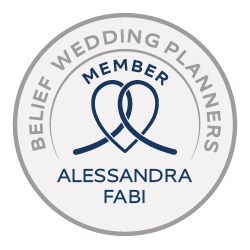 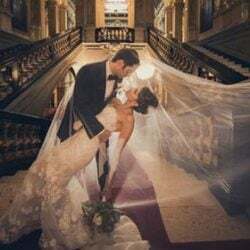 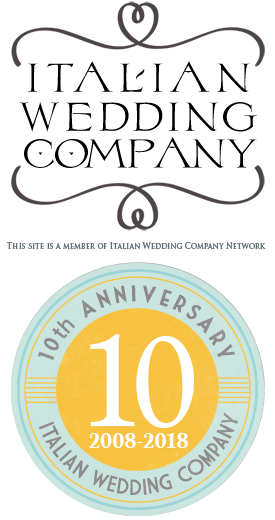 The beauty of organizing a wedding in Italy coming from two very distant parts of the world, the deep wish to organize every detail with care and the choice of a very special setting were only a few of the highlights that made their celebration so touching! 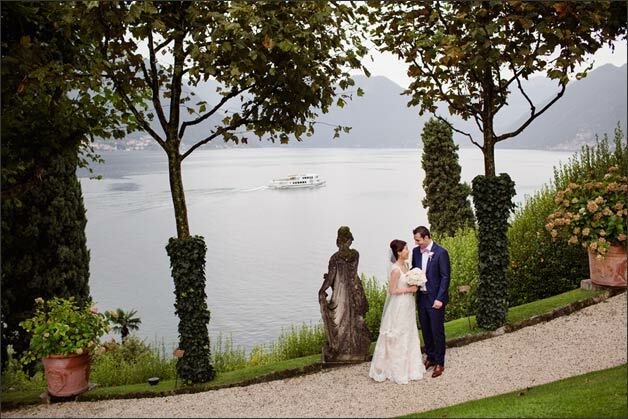 Take a look at the wonderful shots the photographer Franco Milani took during the special day of this lovely couple! 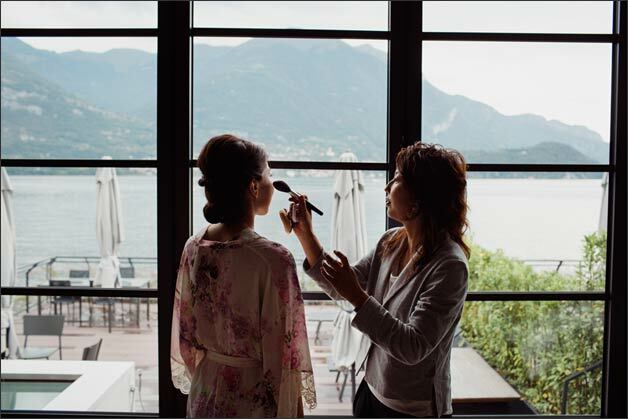 Bride and groom got ready in a luxurious hotel, a lakefront location where modern architecture and design create a unique atmosphere. 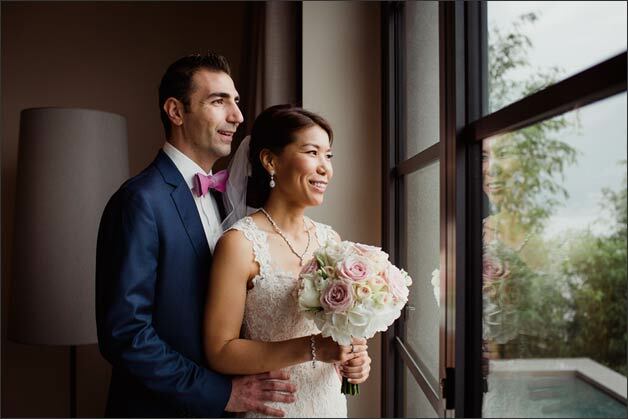 Their families joined them in their room, where they had the possibility to live these special moments all together with great intimacy and emotion. 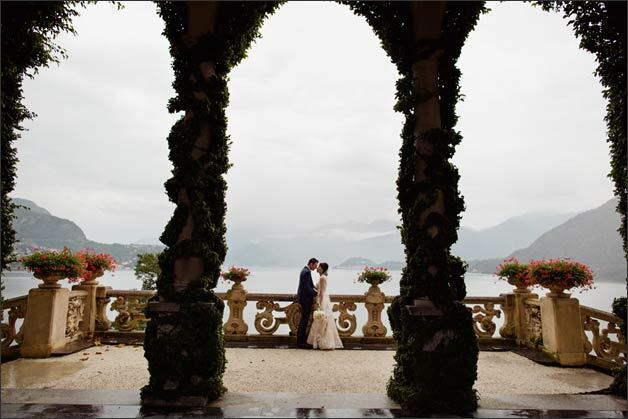 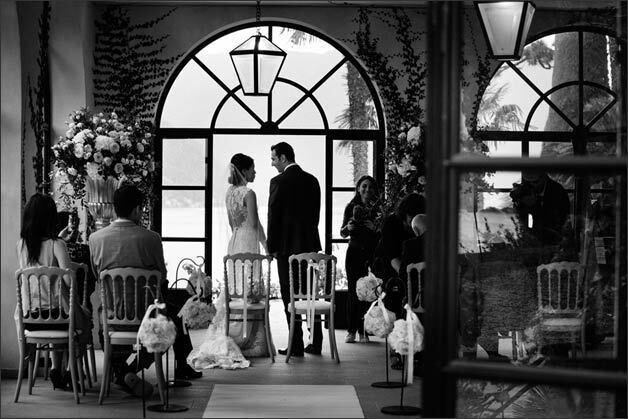 The ceremony in the beautiful Loggia Segré at Villa del Balbianello was very moving. 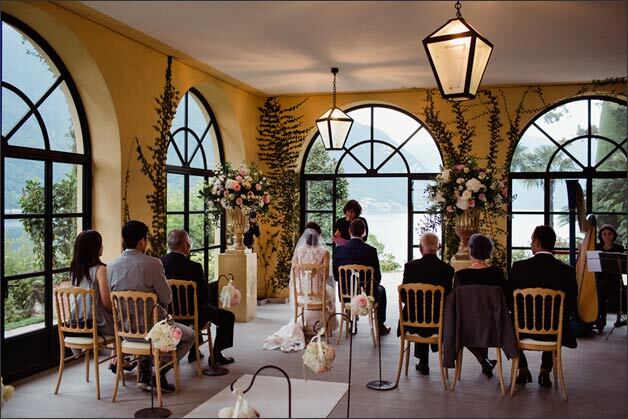 It took place in front of a breath-taking view of Lake Como while a harp and violin duet were creating a romantic atmosphere. 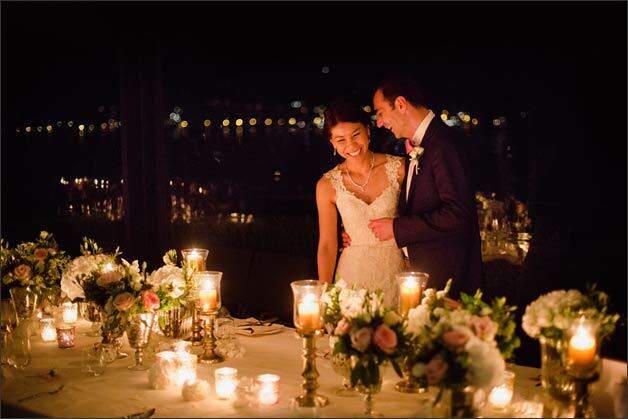 After a photo shooting in the amazing gardens of the villa and a pleasant boat tour to get back to the hotel, they enjoyed their dinner in a relaxed vibe combined with a sophisticated and elegant ambiance. 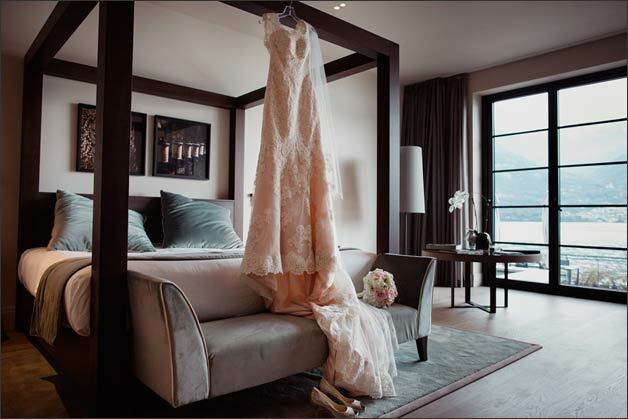 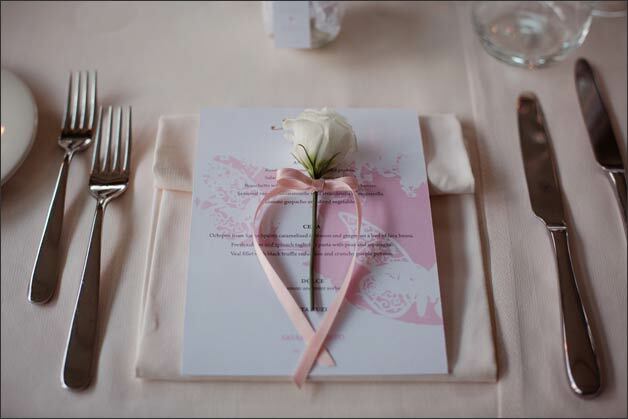 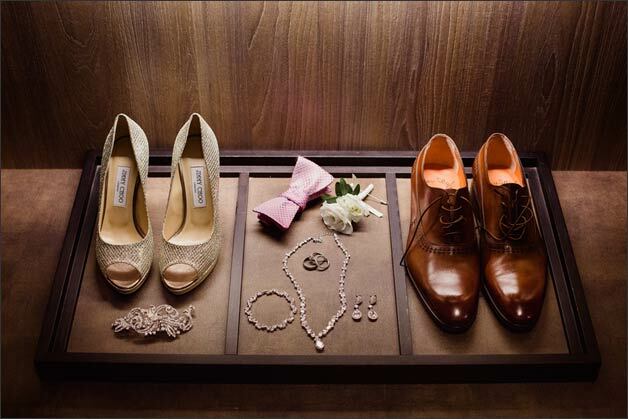 The décor also reflected this lovely couple’s personalities, with elegant and simple aesthetic. 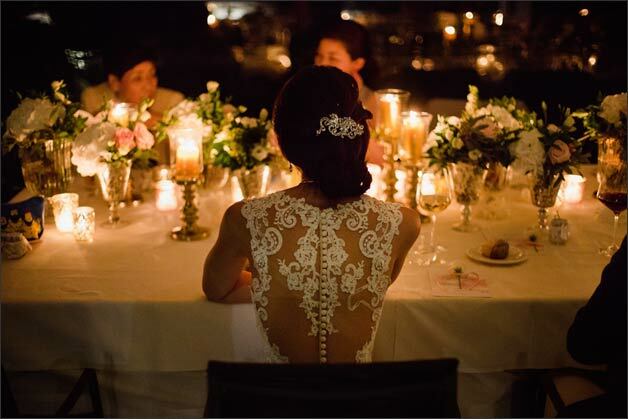 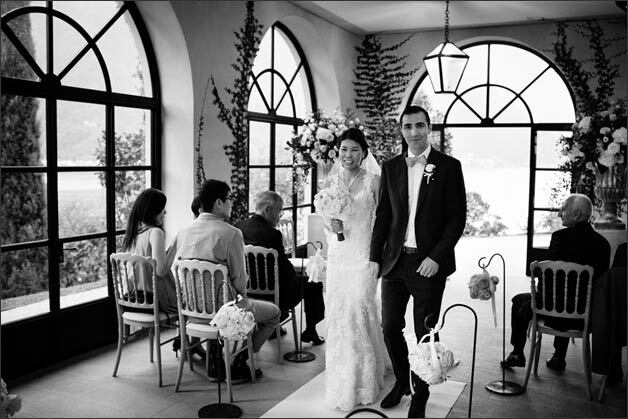 Risto and Sayaka envisioned a wedding with a romantic but elegant and refined style. 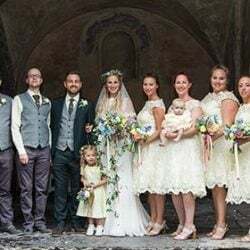 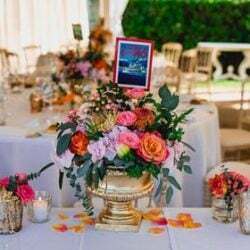 Pink, white and gold were the theme of our couple special day: every single detail matched with the others creating a very elegant style for both graphic design and decorations. 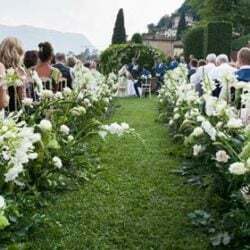 Especially floral set up was carefully realized according to bride and groom’s desire to create a warm and cosy atmosphere for ceremony and dinner.